With more than 35 years experience, Randy’s TV In-Home Service is ready to help you repair you television. I also can give you an estimate on mounting your tv. Call us for same- or next-day tv repair, as well as television mounting I also repair Tempur-Pedic bed. We’re fully licensed and insured, with upfront pricing for your peace of mind. The last thing you want when you turn on your TV is picture issues, sound trouble, it cuts off, or worse, it doesn’t turn on at all! You’re going to need TV repair in Dayton, OH. Instead of lugging your TV into a repair shop or paying big bucks for a factory rep to come out, call Randy’s TV In-Home Service instead. We’ll come directly to you—often same-day—to repair the problems that are affecting your viewing experience. Best of all, we offer upfront pricing and more than 35 years of experience! 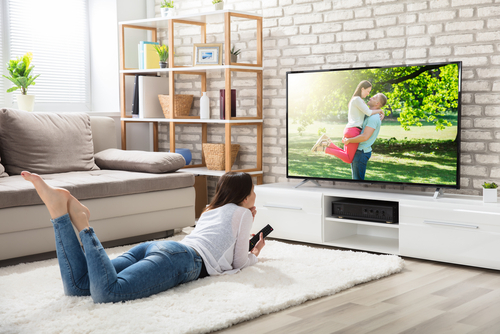 Our abilities for television repair in Dayton, OH extend to most brands and models—whether you’ve got an old 36” LCD or a brand-new, massive 60” LED TV. We work quickly and with precision, to restore the picture quality and get you back to watching the shows, movies and programs you love. Need your TV mounted safely? We can do that too! We’ll make sure it’s safely secured with the proper equipment, so you can view with complete peace of mind. Problems with your Tempur-Pedic? You guessed it—we do that too! We’re your reliable resource for rapid repairs and part replacements. Give us a call today and take advantage of the affordable repair services we offer for the most important conveniences in your home. We provide in-home repairs, so you don’t have to lug your television around and risk damaging it further. Often, we can make house calls same-day or next-day, assuring you get the TV service you need, fast. We’re fully licensed and insured, and we’re also affiliated with the National Service Alliance. Call us with your TV’s make and model number and we’ll give you a quote on repairs right over the phone! Owner Randy Karns has more than 35 years of experience in the industry! Strange hues or offset picture lowing the enjoyment of your TV watching experience? Give us a call to get these issues fixed fast, right in your own home! We’re happy to provide pricing. Indiana, Kentucky, & much more! "Have received service from Randy a couple times over the years. He comes to you, prompt,knowledgeable, honest, highly recommended."